Don't have an account with Realm? You may have already received an invitation -- if so, please click the link in your email invitation to set up your account. If you haven't received an invitation, please contact the parish office to have one sent to you. Click + Pledge, enter your pledge information, and save. ?You can view your pledge status at any time under the Giving page, and you will receive an email once you meet your pledge. Select Save & Set Up Online Gift after entering your pledge information -- OR -- Click Giving on the main menu and click + Give. Enter a gift amount and select a fund (if you are setting up a gift to fulfill your pledge for the year, make sure to select the Pledge fund). Select the frequency at which you'd like to give (one time, once a week, every two weeks, once a month, or twice a month). For a recurring gift, select the start and end dates, and the day(s) of the week or month that you'd like your gifts to be processsed. Enter your payment information like you would at any online store. 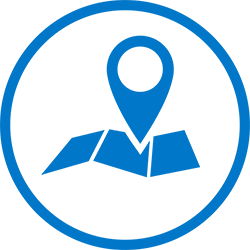 You can view your giving history at any time on the Giving page, and can view and edit your scheduled gifts by clicking the Scheduled tab. Need to update your bank account or credit card? Click Manage Payment Methods on the right side of the screen. To make a one-time or recurring gift to fulfill your pledge, please log into Realm by clicking the logo below. 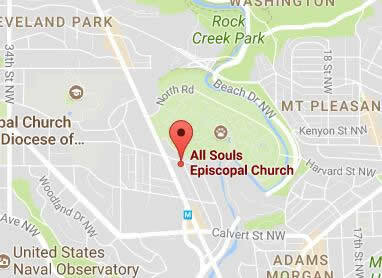 To create a new account or for assistance, please contact Mary Beth Howard, parish administrator, at office@allsoulsdc.org or 202-232-4244, extension 301. Click here for step-by-step instructions for setting up pledges and recurring gifts in Realm.